15 years ago, the average gearhead would have told you the auto-apocalypse was nearing. “Oil is drying up, the government is out to ruin car culture, and it won’t be long before we’re all zipping around in soulless electric snoozemobiles,” the melodramatics would declare. But that concern doesn’t seem to be so prevalent today. Perhaps it’s manufacturers like Tesla that have changed the minds of motorists, but it doesn’t seem to be all so doom and gloom now that we’ve been exposed to a few cool electric cars. While I’m a proponent of petrol power and always will be, the idea of daily driving a hybrid or an EV doesn’t seem too threatening so long as we can still have our fun weekenders—but what about combining the two somehow? While my initial response towards the idea of a rechargeable classic was an unapologetic, “Hell no,” Morgan’s retro electric 3-wheeler admittedly piqued my interest, so perhaps there’s room for an exception—a converted-to-electric classic that’d get the nod of approval from the motoring masses, but what car could pull off such an otherwise blasphemous concept? 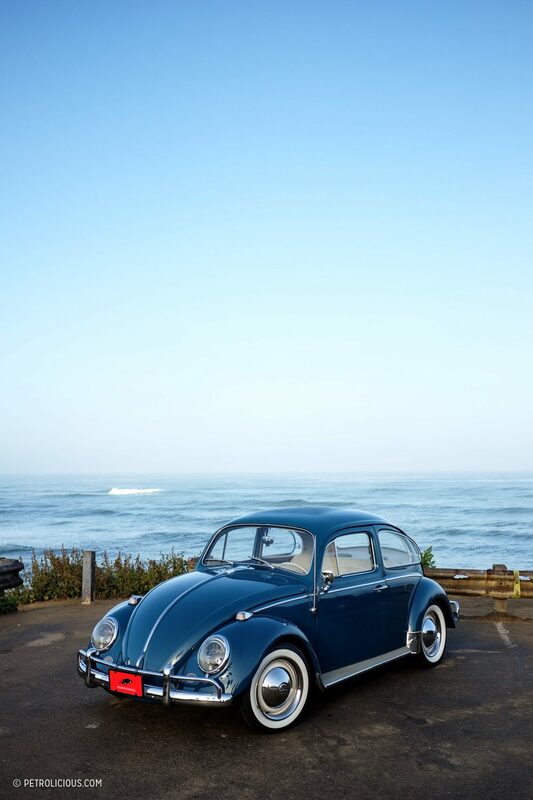 The Volkswagen Beetle, of course. 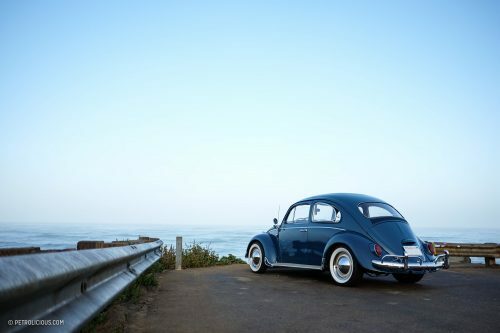 The “people’s car” is an obvious choice to represent a classic vehicle updated for practical use, and VW made more than 20 million of them, so there are plenty still available to go the way of watts without too many purists looking for the pitchforks in the closet—we won’t get into electrified Porsches. 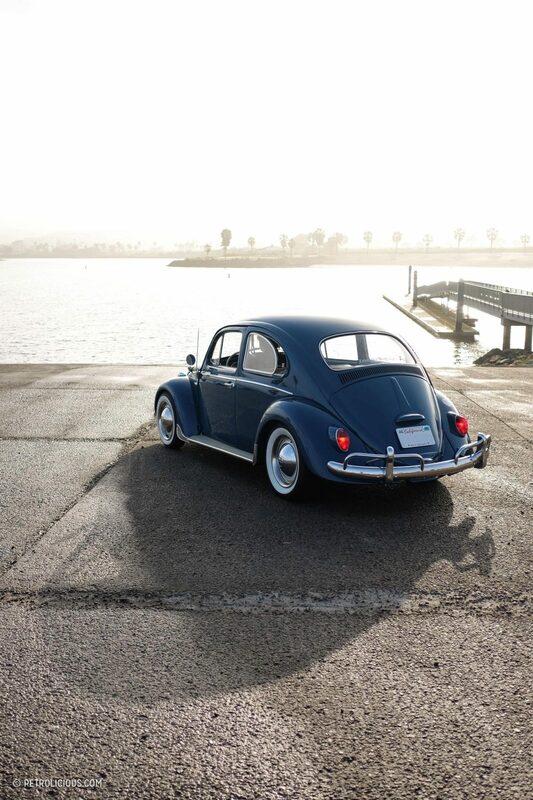 Given the Beetle’s affordability and availability, they’ve been modified over the past 75 years more than any vehicle ever produced. 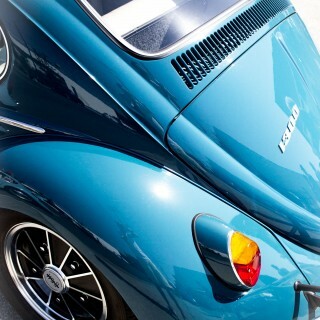 Being so plentiful, lightweight, and inexpensive makes the Bug a prime candidate to go electric. 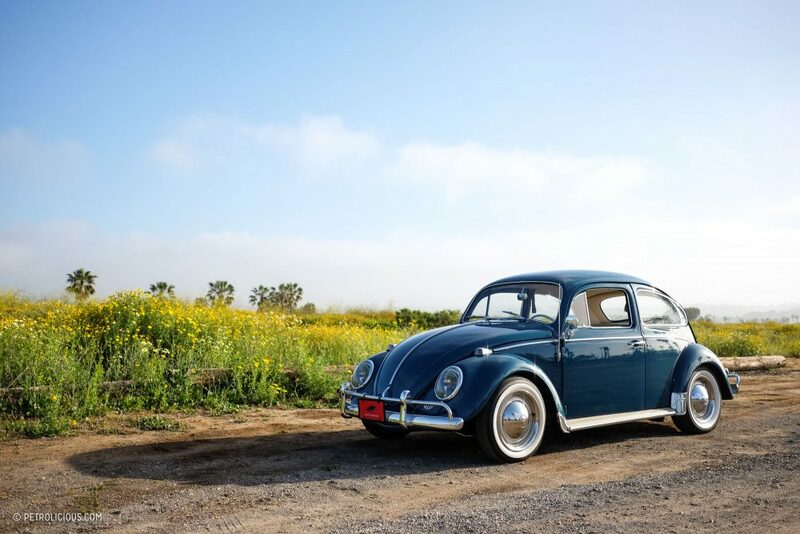 Charming as they are, old VWs are hilariously underpowered in stock trim, making the instant torque delivery from an electric setup all the more sensible an upgrade. 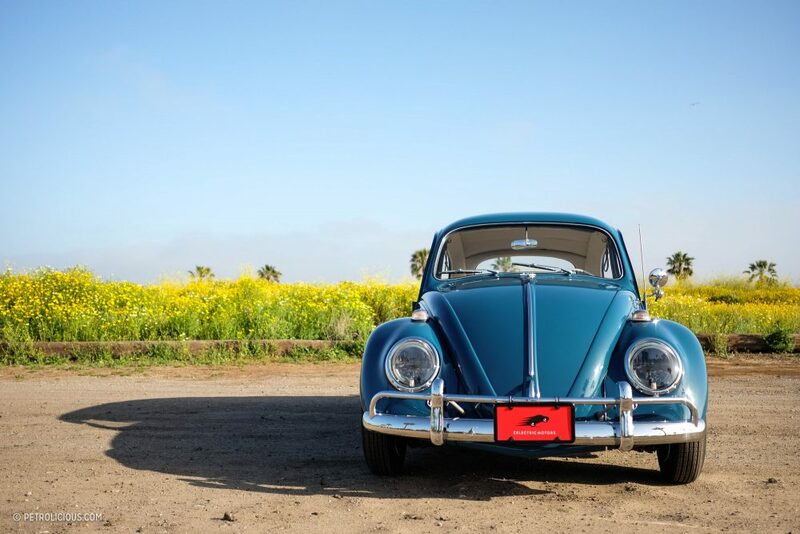 Plus, the Beetle is arguably the strongest ideogram of the hippie movement second only to the Microbus and the peace symbol, and what’s more hippie-dippy these days than an EV? The idea of a Bug driven down Electric Avenue seems like a perfect meld of mechanics that many would opt to create for themselves, but a quick search will uncover countless half-baked homebuilt conversions that look more like a fire hazard than anything eco-friendly. 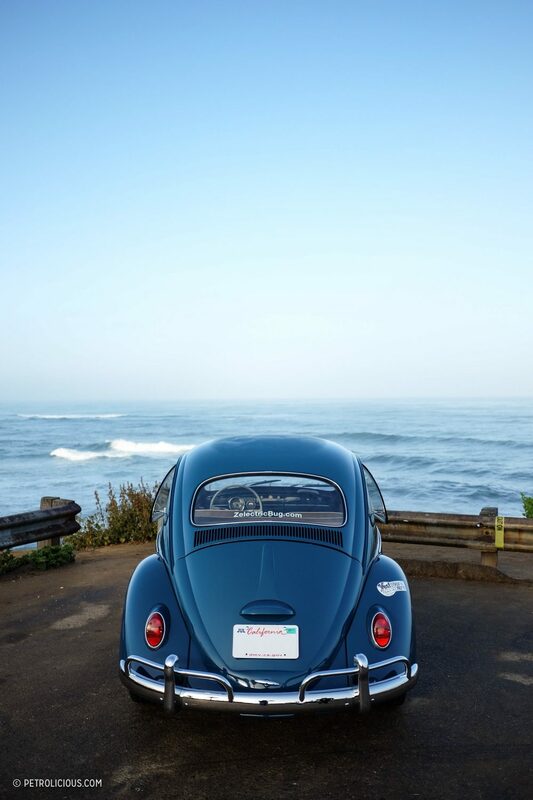 The beautiful Sea Blue ’64 Beetle pictured here is not some messy garage assemblage of batteries and miles of wires though. 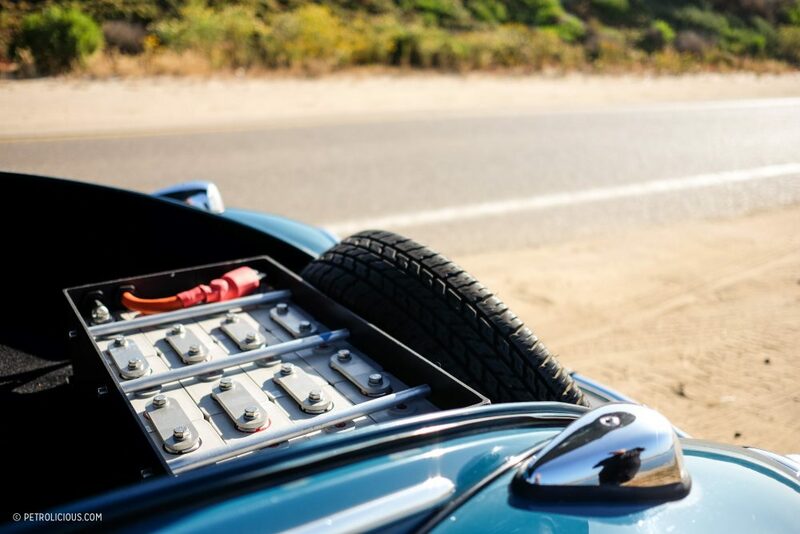 That’s because this machine is a product of Zelectric Motors, a San Diego-based auto house tailored to putting some more voltage in your air-cooled Volkswagen. But what separates this build from other EV classics goes beyond the meticulously clean powertrain installation. 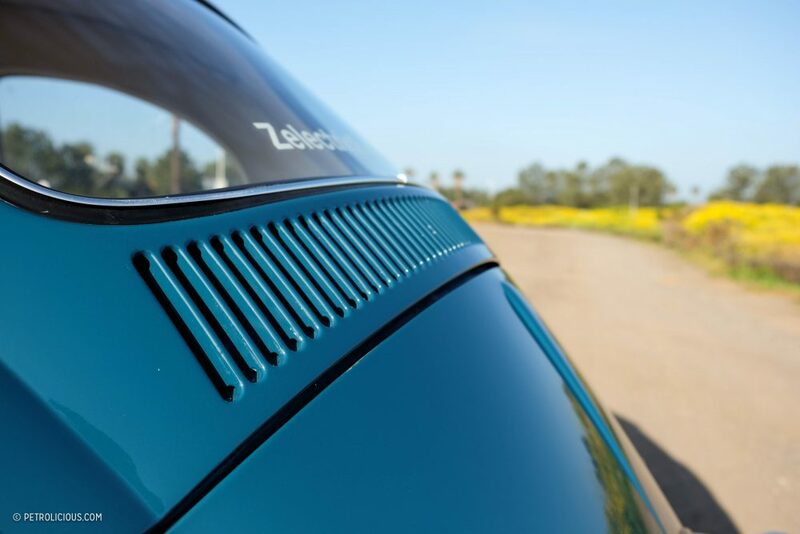 The Zelectric approach encompasses the entire vehicle—this is far more than just a Bug with an electric motor installed. Their ultimate aim is to provide a radically improved overall driving experience. In support of the added weight and the increase in power, select components are upgraded under the skin, including a new transmission, tires, suspension, brakes, LED lighting equipment, wiring, electric heater, and shifter. With such a comprehensive construction, I was amazed to hear everything is reversible; no structural chassis alterations are required for the switch to instant zip. With only one moving internal part, the zero-maintenance powertrain was designed to handle the abuse of 100 years of non-stop use—think Murphy’s law. Visually, the only hint that this car is no longer packing a flat-four is the lack of tailpipes. Otherwise, it’s aesthetically 1964 with 2017 hiding under its 50-year-old body. 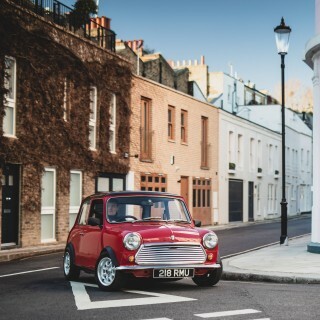 So, it still looks like a classic, but what’s it like to drive? 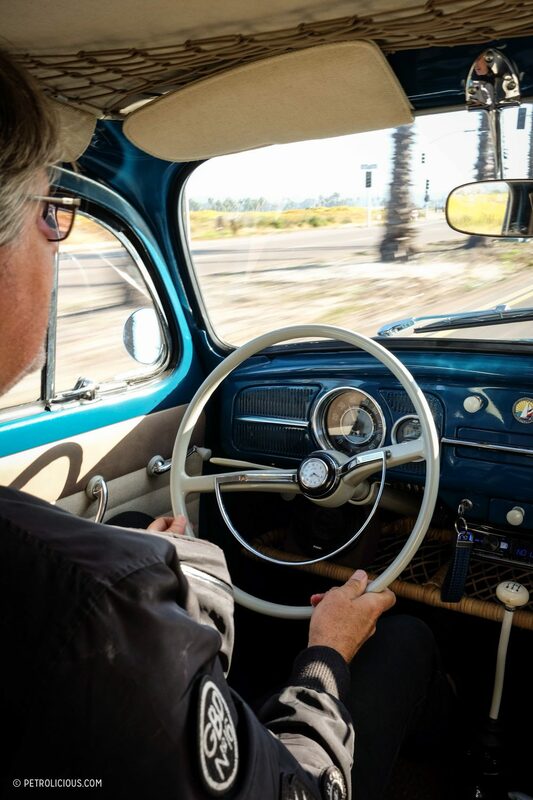 Thankfully Zelectric founder David Benardo made the time to meet up and let me have a go in the latest Beetle the company’s built. “Is it on?” I asked David, who assured me that (despite the complete silence) the car was in drive mode. I depress the clutch, engage first, and give it some throttle. Zero hesitation. The car pulls away eerily quietly with the only noise being the faint humming whine emitting from the four-speed transmission—that’s right, this thing is still a manual. 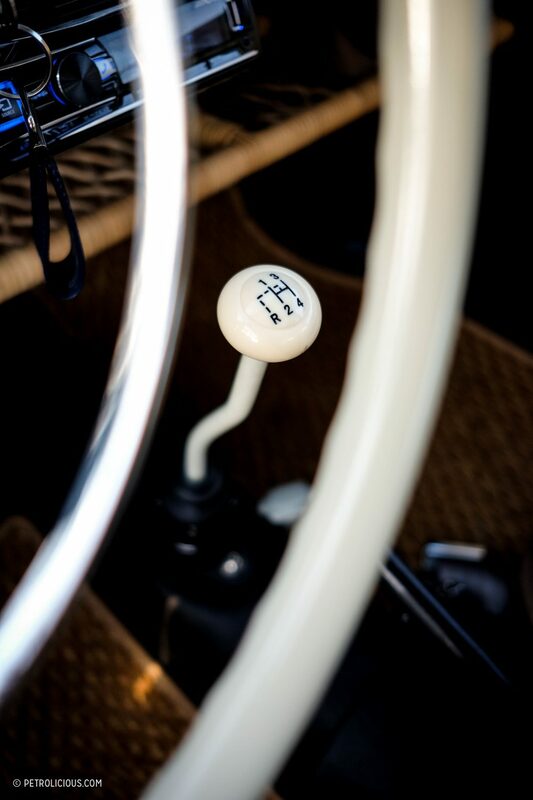 Although technically you could treat the gearbox like an automatic, the gear ratios do make a difference in performance and range. The accelerator pedal has good weight and a very quick response. The clutch feels standard, the shifter is direct enough, and the upgraded brakes work well. 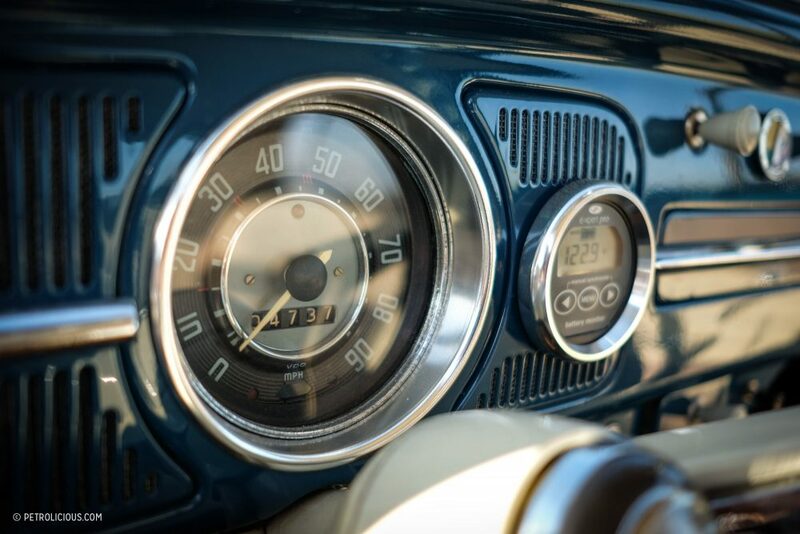 Soon after pulling away and getting a feel for things, David flips a toggle switch on the dash to engage the regenerative engine braking system; I let off the throttle and the car promptly decelerates. It is so quick to shed speed in fact, that in regen mode I never touched the brake pedal. Being a customer car that was just getting buttoned up, I was driving extra cautiously, but David insisted I give it some more juice—that’s all the encouragement I needed. It pulls hard. I wouldn’t call it outright fast, but considering the snail’s pace of a combustion-powered Beetle, this Zelectric special moves with a sense of urgency. It’s also perfectly linear in delivery, which definitely adds to the sensation of gaining forward velocity, especially when acceleration isn’t interrupted by shifting. On the highway, it’s best left in fourth for optimal range, which in this configuration is between 80 and 100 miles—you’re not going to be taking lengthy road trips in the thing, but it sure is a cool, fun way to run around town. 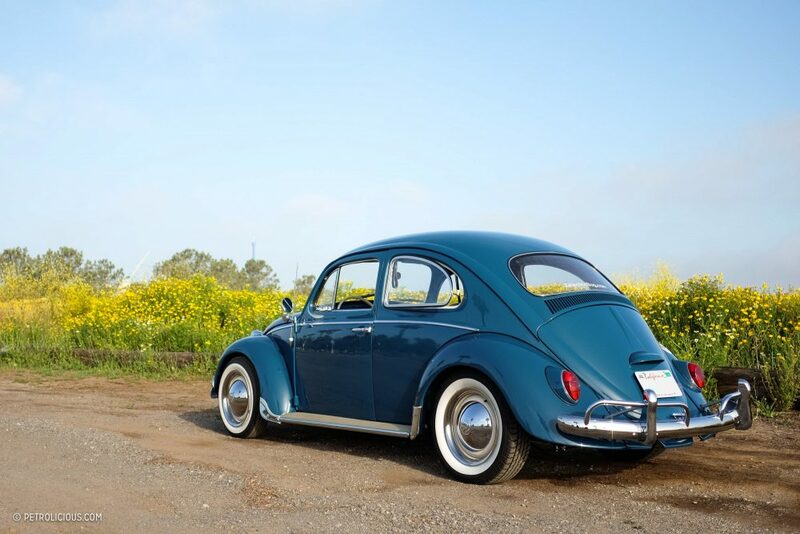 I’ve driven stock vintage Beetles and by comparison this car feels much more solid. There’s a hefty case of lithium batteries over the front axle in place of the original fuel tank and an additional set of batteries sandwiched between the firewall and rear bench. The overall increased weight of around 230 pounds is noticeable, but it doesn’t make the car feel so much heavy as it does more planted. It feels secure on the road also in part due to the improved 60/40 weight distribution. Like the rest of the car’s tidy presentation and meticulous finish, the engine motor compartment is just as squared away. 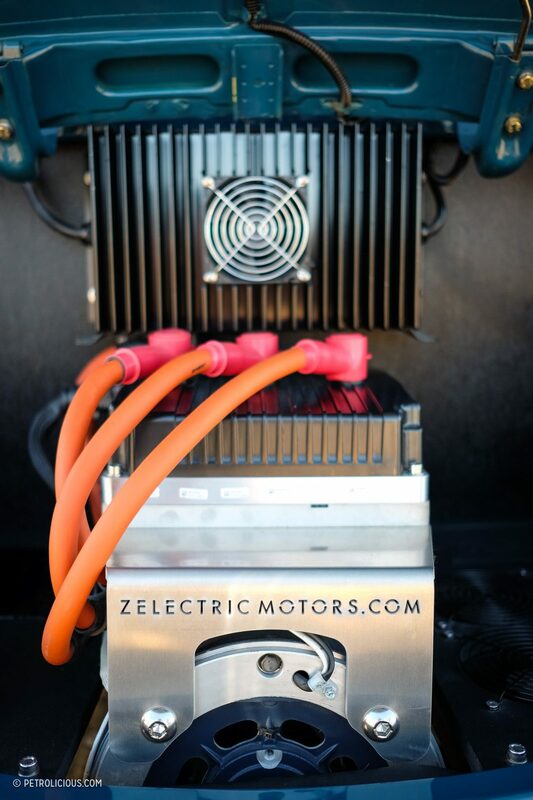 The Zelectric engineering team has taken great care in integrating the EV conversion, displaying only the more attractive components and craftily concealing the less visually appealing bits. The motor is even a tad reminiscent of a conventional engine, even if just superficially. This car makes sense. 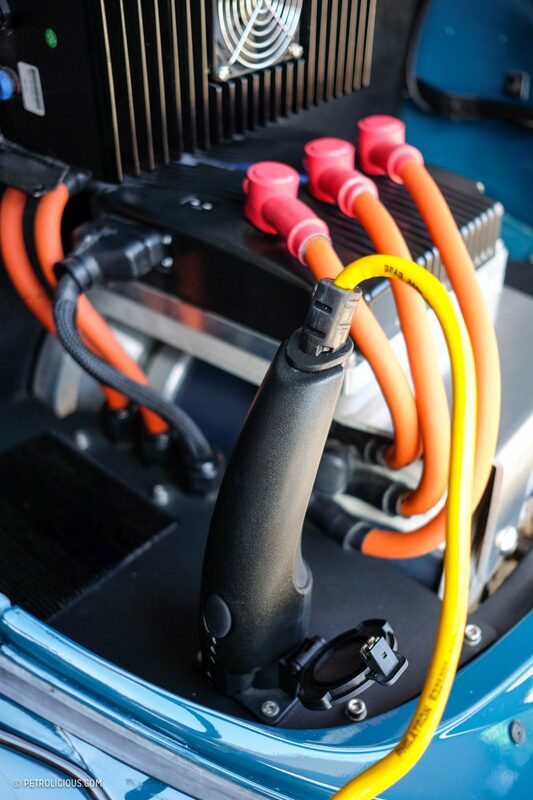 It’s turnkey and ready to go for a hundred miles, plus with more efficient batteries under constant development it won’t be long before the range options increase. 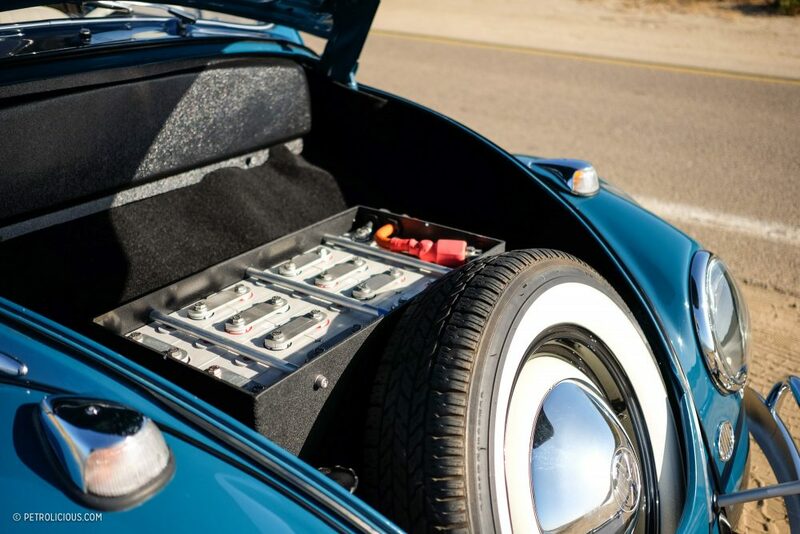 Actually, Zelectric’s next projects are already seeing a bump up in range thanks to state-of-the-art lithium cells derived from Tesla. Just considering the figures alone, it’s already more than double the original horsepower and torque output with minimal weight gain—what gearhead would turn their nose up at that? 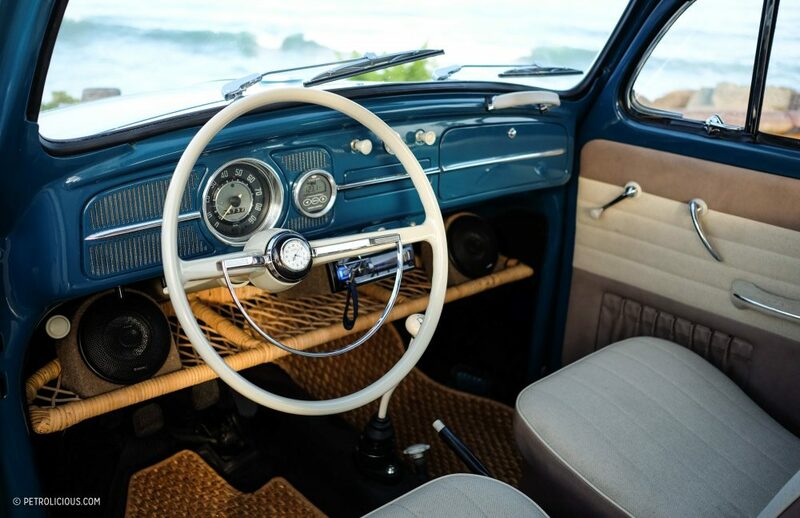 Plus there is no more tuning of carburetors, no more pesky oil leaks—just unplug, hop in, and drive away emissions free. It’s still air-cooled, too. 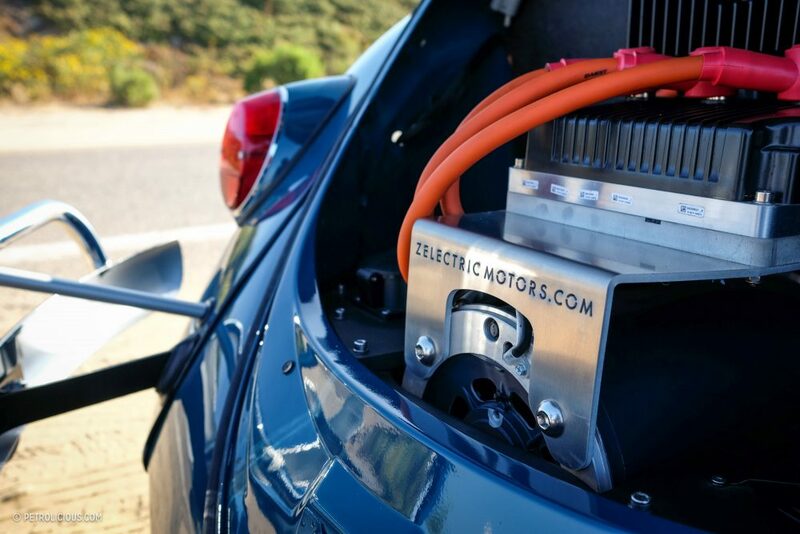 This sort of tech is only getting better and Zelectric is ahead of the curve. 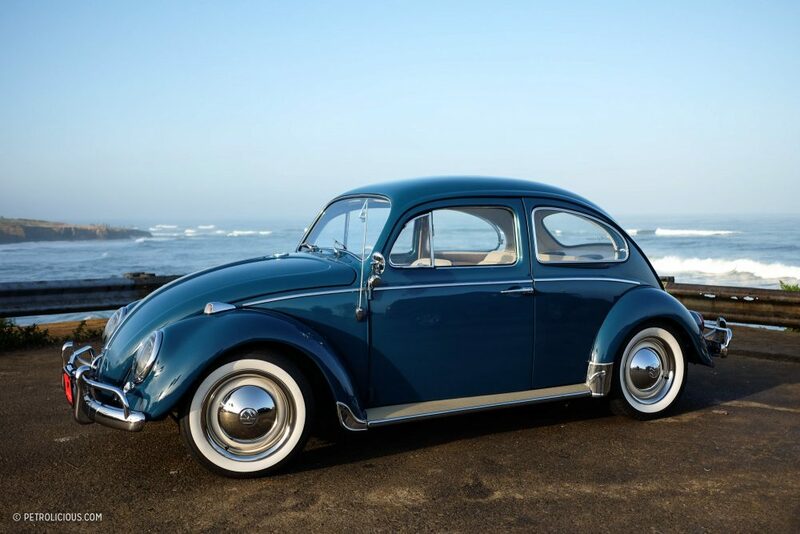 As for now, they’re exclusively working with vintage VW models and have done several Beetles, a few Microbuses, a couple Things, and even a Karmann Ghia (they’ve also done some early Porsches if you can stomach it). Zelectric will source you a vehicle if you don’t already have a donor and every build is different based on the extensive options list. Every vehicle is made-to-order and delivered turnkey (batteries included, no assembly required). 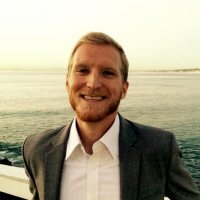 Is this application for every classic? 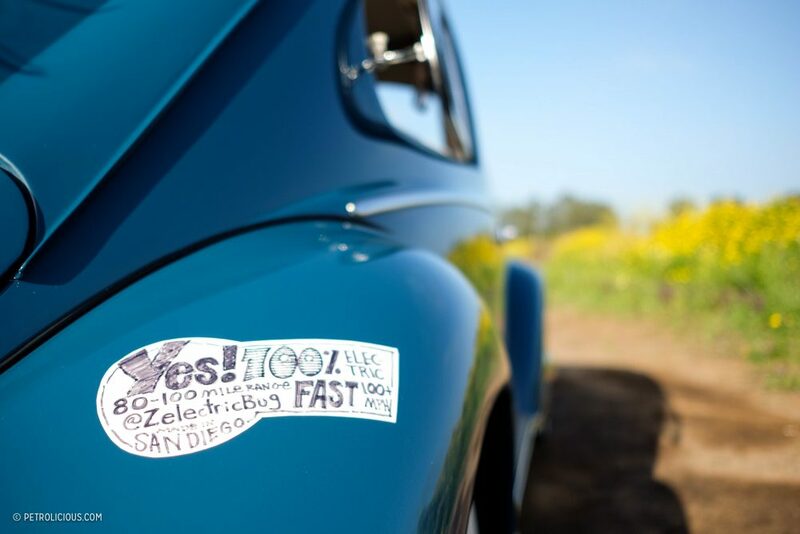 Absolutely not, and Zelectric acknowledges that, which is why they’re focusing on old Volkswagens not performance cars. 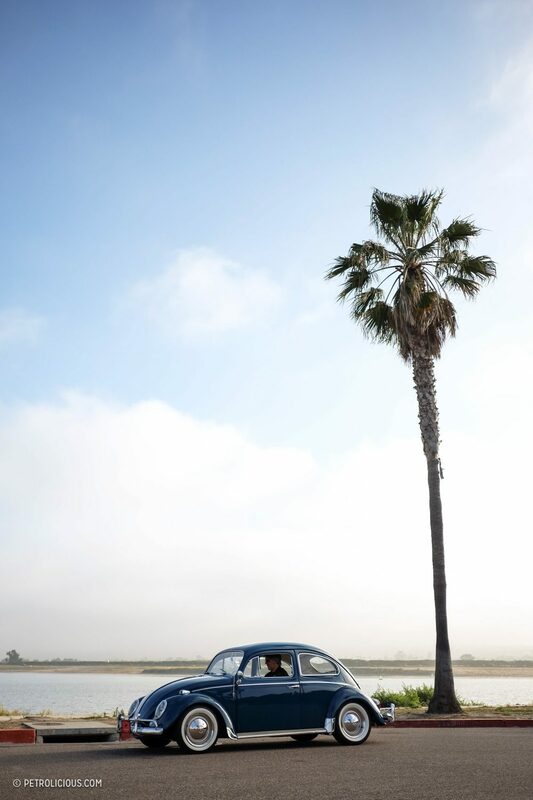 These are cruisers meant to move in style, not carve canyons or enter wheel-to-wheel competition—though, one of these Beetles would give Herbie a run for his money. 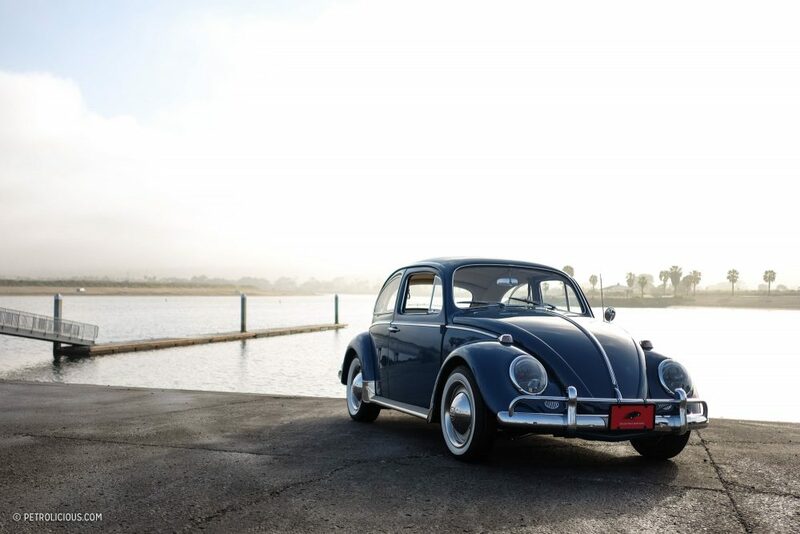 With a top speed upwards of 100 mph, and significantly faster acceleration over stock, all neatly nestled into a plug-and-play package, what’s not to like about this Love Bug? After all, this is really what the hippies would have wanted. This company is physically very close to JPS Motorsports. This is the perfect setup for a 356 Speedster replica. 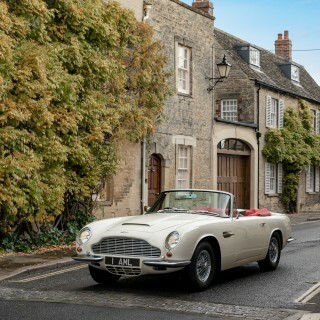 Stunning looks, no emmissions and nobody gets upset for modifying a classic. Total win/win. Might be my next move. 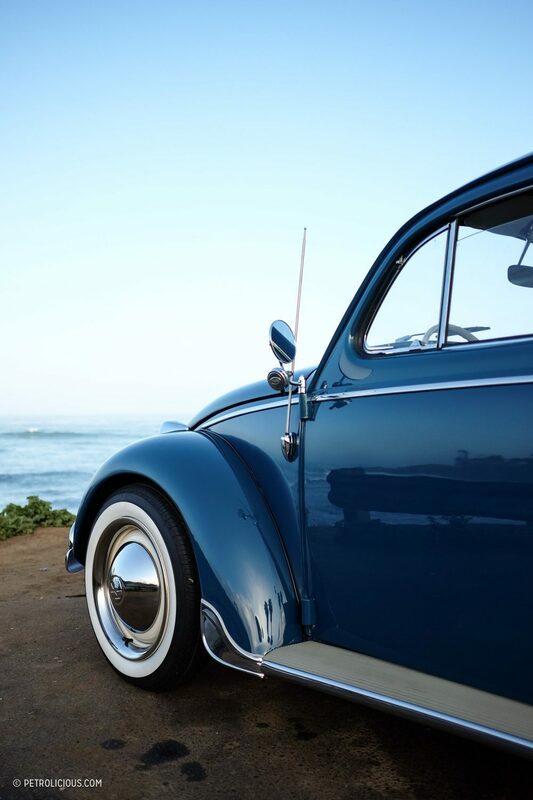 The already iconic Love Bug may have become even more iconic thanks to Zelectric Motors! Absolutely love the idea! 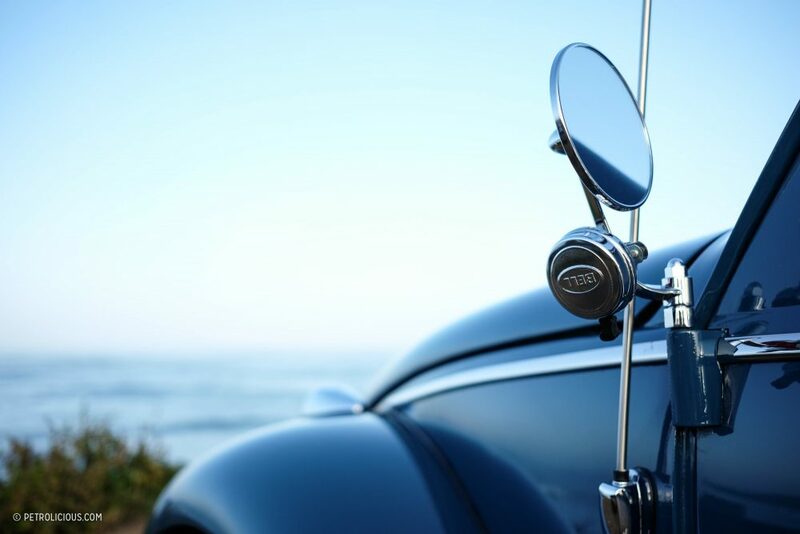 Such a beautiful way of keeping our favorite classic designs alive; reconstructing the automobile industry’s quintessential past by making our beloved Bug eco-friendly. Finally, an EV with personality! 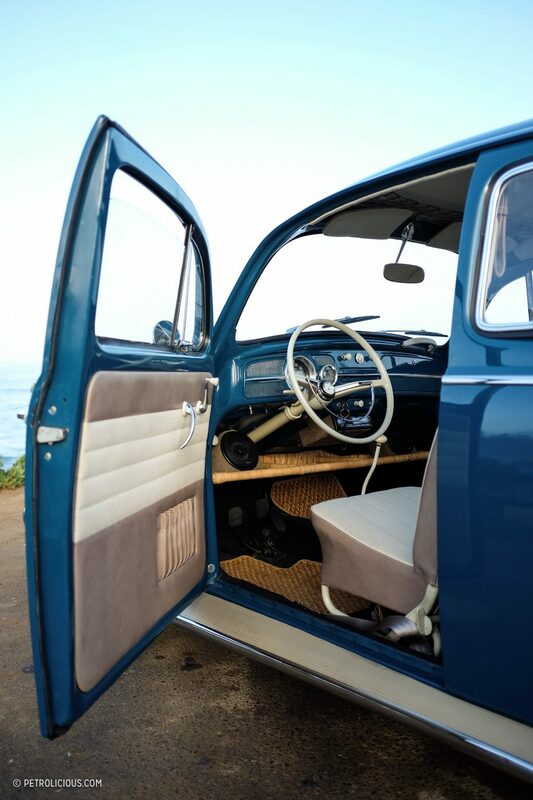 Coffee-shop escapes, Sunday joyrides, errands – all done in vintage style and at no harm to our home planet. As someone in the electric vehicle industry, I hate having to explain that it’s not an either-or. I can, and do, like both engines and motors. 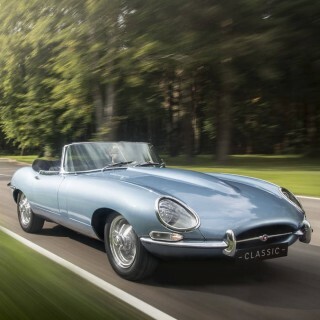 The fact that we’re making cars like this more fun should be encouraged. Governments aren’t increasing regulations on gasoline because EV’s are becoming better, they couldn’t care less. Development in this industry is the last hope we have for continuing to own street legal performance machines. Never thought I would ever be in favor of an electric vehicle. I humbly apologise, I am all in favor of this type conversion. Perfect for cars and coffee, grocery getter, or just plain fun on a weekend ride to the ice cream shop. The big question is HOW MUCH ?? 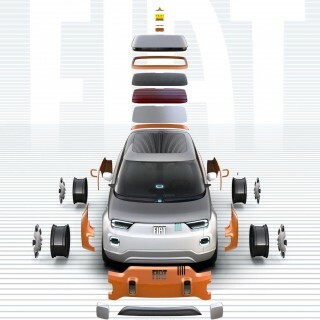 An EV with some personality? Count me in. Nope, sorry, they’ve f***ing ruined a classic Beetle. 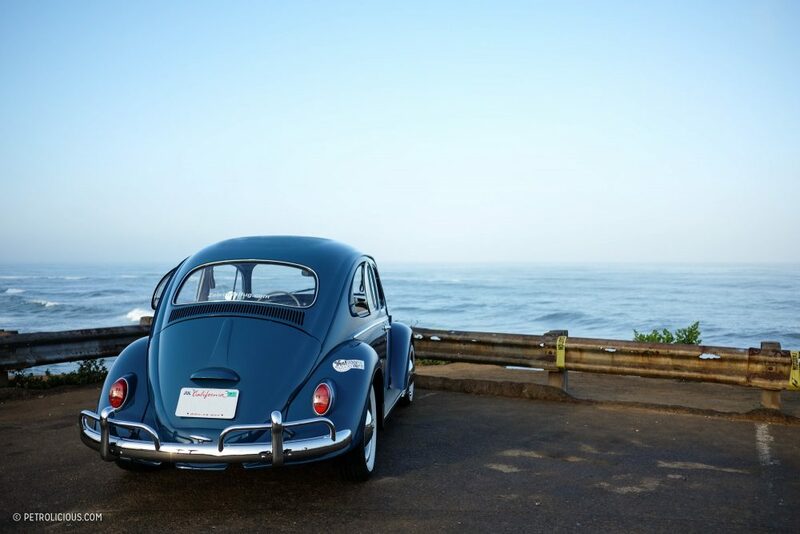 One of the characteristics that i love about the Beetle is the sound of that boxer engine, be it stock and underpowered or souped up and powerful, it is distinctive. Take that away is taking half the car’s character away. Also the batteries take up most of what used to be luggage space! I keep thinking how cool this is, then an electric Super Seven pops into my head.